Hi! 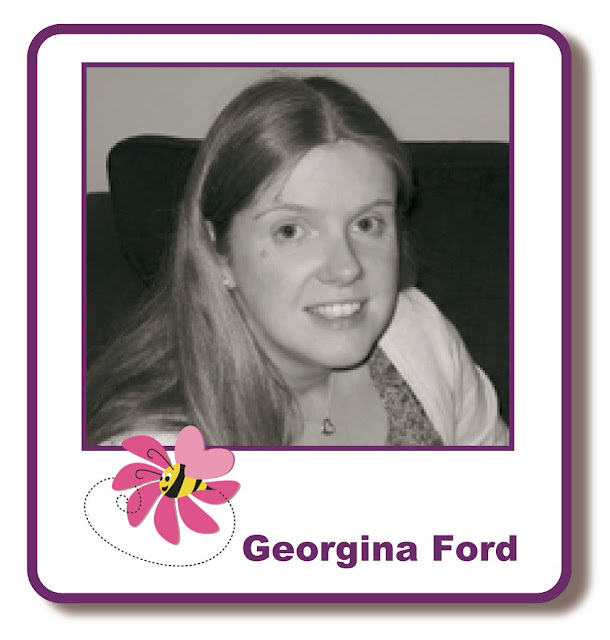 It's Georgina with my regular Thursday post. I have a card to share with you today using the lovely Cardio Majestix stamp set Mum's Garden available from Lisa B Designs. 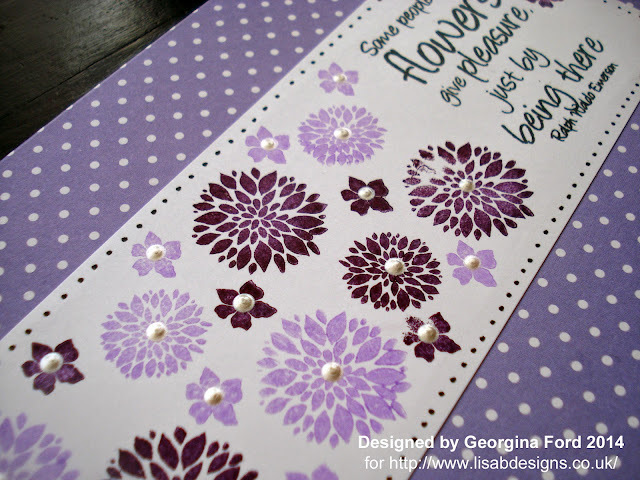 To create the card blank I cut a piece 210x198mm of dottie card lilac. I score the card in half to form a DL card blank (210x99mm). I then cut a strip of white card. I used a corner rounder to punch the corners of the white card and the card blank. 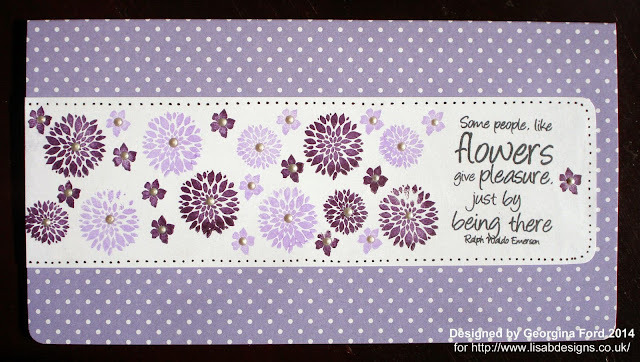 I stamped the flowers from the Mum's Garden set using Grape and Heliotrope VersaColor ink pads. 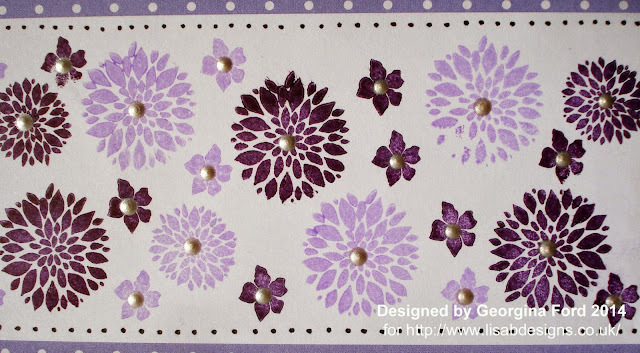 Around the edge of the white stamped card I added blank dots. I attached the white strip to the card blank. To finish the card I added Opal White Liquid Pearls to the centre of the flowers. This is gorgeous, such a pretty design and I love the colours.